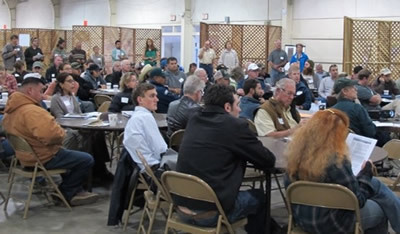 Landowners, growers, agencies, residents, researchers, and conservationists working together to address the imbalance of water supply and demand through individual and collaborative action, helping to ensure agricultural viability in the Pajaro Valley. Find answers to some frequently asked questions about the Pajaro Valley water supply, aquifer overdraft & their related issues. Learn more about our active projects including the Wireless Irrigation Network, Managed Aquifer Recharge and other selected projects with successful results. Join the Community Water Dialogue in bringing the Pajaro Valley aquifer into balance! Contact to get involved today!